Attorney Michael Avenatti and former Iowa Lt. Gov. 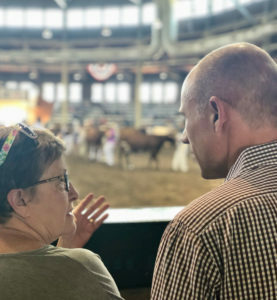 Patty Judge visit in Iowa State Fair livestock pavilion. Democratic candidates weighing their prospects for the 2020 presidential race were in Iowa this weekend. Michael Avenatti, the attorney representative an adult film star who’s suing President Trump, spoke Friday night at the annual “Wing Ding” north central Democrats held in Clear Lake. On Saturday, New York businessman Andrew Yang visited the State Fair. Yang, who announced early this year that he was running for president, argues there will be a massive loss of jobs as the economy evolves, so the government must take steps to ensure a basic income for every American between the ages of 18 and 64. 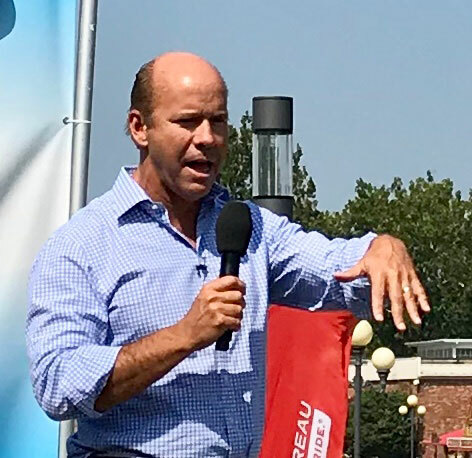 On Sunday, Maryland Congressman John Delaney crossed a milestone when he visited his 99th county in Iowa. Delaney, who announced he was running for president about a year ago, also toured the Iowa State Fair and delivered a campaign-style speech at The Des Moines Register’s Soapbox. 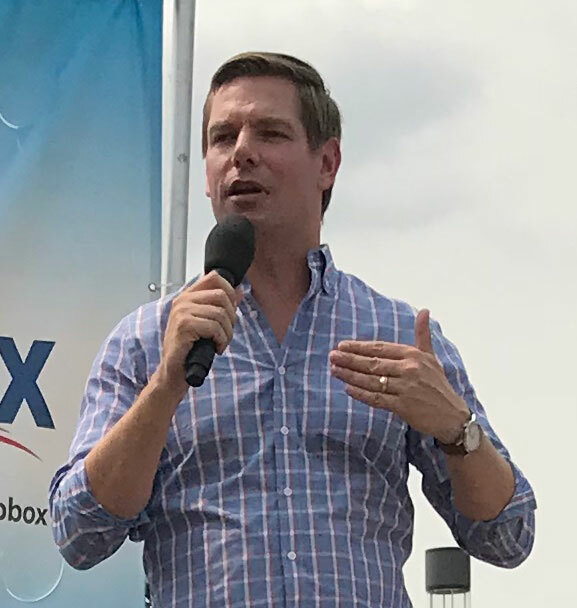 California Congressman Eric Swalwell, a native of Sac City, has visited the state seven times since early 2017. During a speech Saturday on The Des Moines Register’s Soapbox at the State Fair, Swalwell suggested the 2018 election is setting the stage for 2020. A few other potential presidential candidates of the future are due in Iowa this week. California billionaire Tom Steyer, Montana Governor Steve Bullock and former San Antonio Mayor Julian Castro are all Democrats. Vice President Mike Pence is also slated to speak at an event in Des Moines on Wednesday.